Namaste is an Indian gesture of greeting one another. 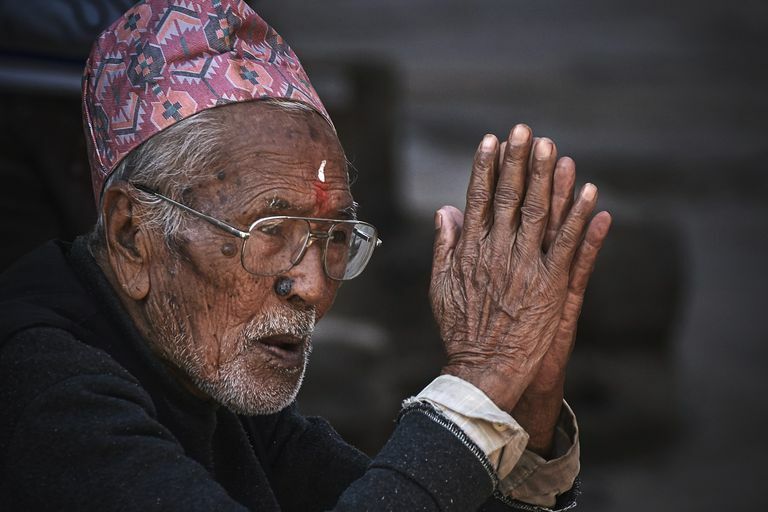 Wherever they are, when Hindus meet people they know or strangers with whom they want to initiate a conversation, "namaste" is the customary courtesy greeting. It is often used as a salutation to end an encounter as well. Though it has its origins in India, Namaste is now known and used throughout the world. Much of this has been due to its use in yoga. Students will often bow in respect to their teacher and say "Namaste" at the end of a class. In Japan, the gesture is "Gassho" and used in similar fashion, typically in prayer and healing practice. Namaste—and its common variants namaskar, namaskaara, and namaskaram—is one of the various forms of formal traditional greeting mentioned in the Vedas. Although this is normally understood to mean prostration, it actually is the means of paying homage or showing respect to one another. This is the practice today when we greet each other. In Kannada, the same greeting is Namaskara and Namaskaragalu; in Tamil, Kumpiṭu; in Telugu, Dandamu, Dandaalu, Namaskaralu and Pranamamu; in Bengali, Nōmōshkar and Prōnäm; and in Assamese, Nômôskar. How and Why to Use "Namaste"
Bend your arms upwards at the elbow and face the two palms of your hands. Place the two palms together and in front of your chest. Utter the word namaste and bow your head slightly toward the tips of the fingers. This simple gesture is related to the brow chakra, which is often referred to as the third eye or mind center. Meeting another person, no matter how casual, is really a meeting of the minds. When we greet one another with Namaste, it means, "may our minds meet." The bowing down of the head is a gracious form of extending friendship in love, respect, and humility. The Spiritual Significance of "Namaste"
The reason we use Namaste has a deeper spiritual significance as well. It recognizes the belief that the life force, the divinity, the Self, or the God in me is the same in all. Acknowledging this oneness and equality with the meeting of the palms, we honor the god in the person we meet. During prayers, Hindus not only do Namaste, they also bow and close their eyes, in effect to look into the inner spirit. This physical gesture is sometimes accompanied by names of gods such as Ram Ram, Jai Shri Krishna, Namo Narayana, or Jai Siya Ram. It may also be used with Om Shanti, a common refrain in Hindu chants. Namaste is also quite common when two devout Hindus meet. It indicates the recognition of the divinity within ourselves and extends a warm welcome to each other. 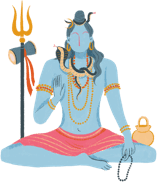 Difference Between "Namaskar" and "Pranama"
Pranama (Sanskrit 'Pra' and 'Anama') is a respectful salutation among Hindus. It literally means "bowing forward" in reverence for a deity or an elder. Ashtanga (Ashta=eight; Anga=body parts): Touching the ground with knees, belly, chest, hands, elbows, chin, nose, and temple. Shastanga (Shashta=six; Anga=body parts): Touching the ground with toes, knees, hands, chin, nose, and temple. Panchanga (Pancha=five; Anga=body parts): Touching the ground with knees, chest, chin, temple, and forehead. Dandavat (Dand=stick): Bowing the forehead down and touching the ground. Abhinandana (Congratulations to you): Bending forward with folded hands touching the chest. Namaskar (Bowing to you). The same as doing a Namaste with folded hands and touching the forehead.